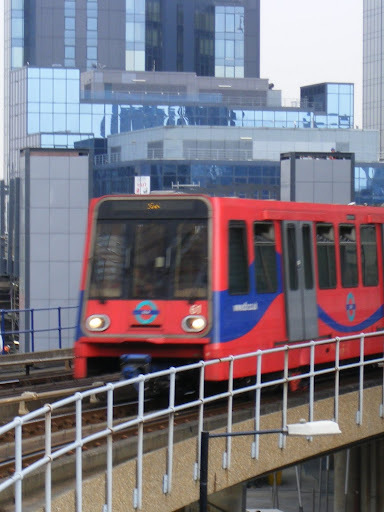 Transport for London have announced that bikes will be able to be transported on the Docklands Light Railway at off-peak times from 1 July 2013. As proposed in the Mayor's Vision for Cycling a six month trial will be undertaken with the expectation that, if successful, bikes will be allowed permanently on to DLR trains. Representatives from London Cycling Campaign and CTC met with TfL staff to agree details of the trial which will make it easy to travel with your bike to East London from Lambeth if you do not fancy cycling. The easiest route if travelling from Lambeth is to take the London Overground train from Wandsworth Road, Clapham High Street or Denmark Hill stations and then change on to the DLR at Shadwell. From 1 July 2013 people will be allowed to take their bikes with them at off-peak times on all DLR services except for Bank station. Bikes will be not be allowed from 0730-0930 or 1600-1900 Mondays to Friday (except bank holidays).